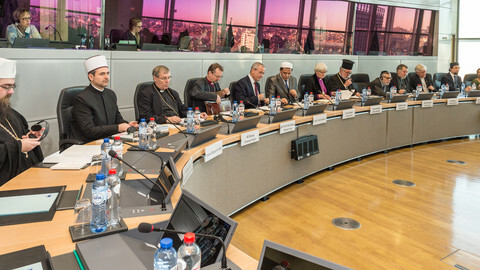 EU member states with a Roman Catholic heritage are showing a preference for taking in Christian migrants, despite their obligations under EU law. The Slovakian government was the latest to issue a statement. 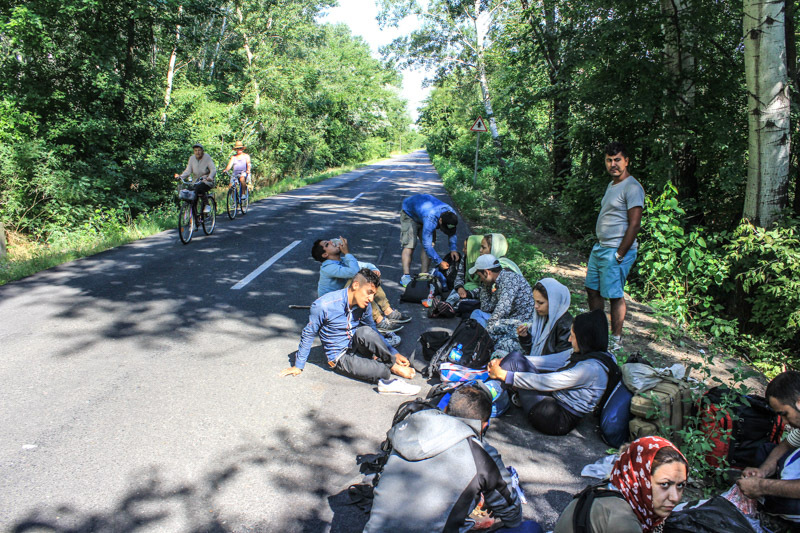 Its interior ministry told EUobserver on Thursday (20 August) that it’s “not a discriminatory country” and that “if some Muslim people come to Slovakia and decide to stay in our country and ask for asylum, they will be [put] in [a] normal asylum process”. But it added that, in practice, Muslims don’t want to live there and end up moving on to EU states with larger Muslim communities. “In Slovakia, we have a really tiny community of Muslim people. We even don't have mosques. 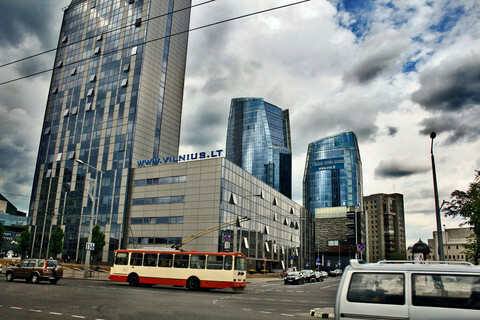 That's the reason we want to choose people who really want to start a new life in Slovakia. And Slovakia, as a Christian country, can really help Christians from Syria to find a new home in Slovakia”. Its comment comes as EU institutions prepare to start relocating the first asylum seekers from Greece and Italy, as well as UN-registered refugees from camps in the Middle East, around Europe in September. Slovakia has volunteered to take in 100 asylum seekers and 100 refugees, out of the total 60,000 which the EU aims to redistribute. But it’s concerned that this is just the beginning. 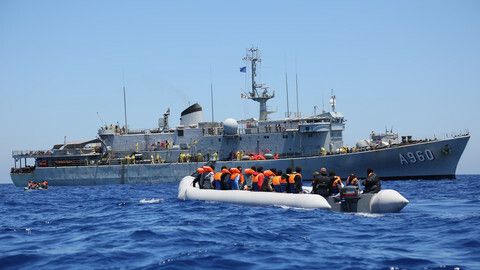 Frontex, the EU border control agency, says 107,500 irregular migrants arrived in the EU last month, while Germany expects 800,000 asylum applications this year. The European Commission also plans to propose a “permanent mechanism” for relocations in emergency situations by the end of the year, on top of its ad-hoc 60,000 scheme. “If we don´t stop the migrant wave, how many people will European countries have to relocate when we have 200,000 migrants, or maybe 1 million or 2 million?”, the Slovak ministry said. Cherry-picking migrants is against EU law. Its Charter of Fundamental Rights contains explicit clauses on non-discrimination. Its two asylum directives, from 2004 and 2013, which can trigger infringement proceedings for non-compliance, also say individuals who qualify for international protection on individual merit cannot be denied it. 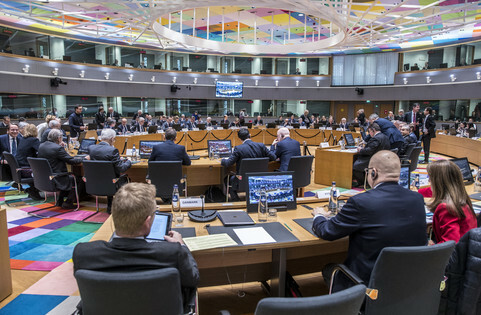 But the EU relocation mechanism, the final details of which are to be decided by EU officials and member states’ experts in a “forum for resettlement and relocation” next month, leaves wiggle room for national preference. 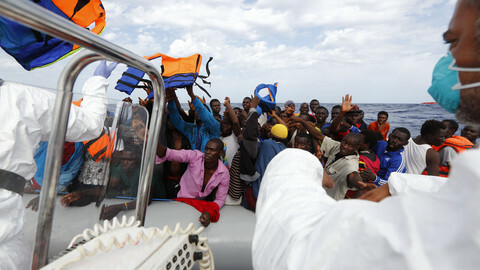 In the draft format, EU officials will go to Greece and Italy to identify the people most in need of being moved. But, the commission says, “it is the independent justice tribunals of the host member state who take the decision (in accordance with UN, international, and EU law)” whether to accept them. 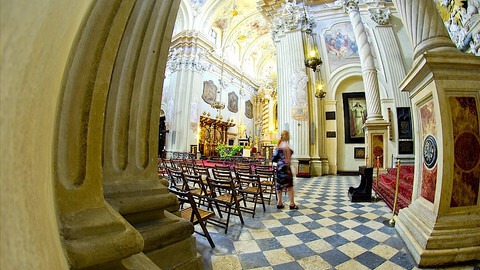 EUobserver also contacted ministries in the Czech Republic, Ireland, Poland, and the Baltic States, all of which have a strong Catholic or Protestant heritage. None of them are willing to say quite what Slovakia is saying. The Czech Republic (to take in 1,500 asylum seekers and refugees) said it “is strictly neutral, religion-wise”. Poland (2,000 asylum seekers and refugees) said it “does not apply any preference in terms of the religion or race of asylum seekers”. But Ireland (120 refugees) did echo Slovakia. A justice ministry spokesman noted that “language skills, family links, or cultural ties relate to the capacity of the people relocated to integrate into their new host country, which is something to be taken into account in the relocation process”. A contact from one of the three Baltic States (725 asylum seekers and refugees in total) also noted the region is becoming increasingly anti-Muslim. “In Latvia and Lithuania, there is a nascent debate about [banning] the wearing of the burka”, the government source said. The Hungarian government could not be contacted for a comment on Thursday, a national holiday. But it's one of the few states which has so far not volunteered to take in any asylum seekers or refugees under the EU programme. Its right-wing PM, Viktor Orban, said, in July, that “We would like for Europe to keep belonging to the Europeans … to preserve the Hungarian Hungary”. The Czech president, Milos Zeman, has also attacked EU “political correctness”. He recently said “refugees from a completely different cultural background would not be in a good position in the Czech Republic” and said Muslim migrants are potential terrorists. 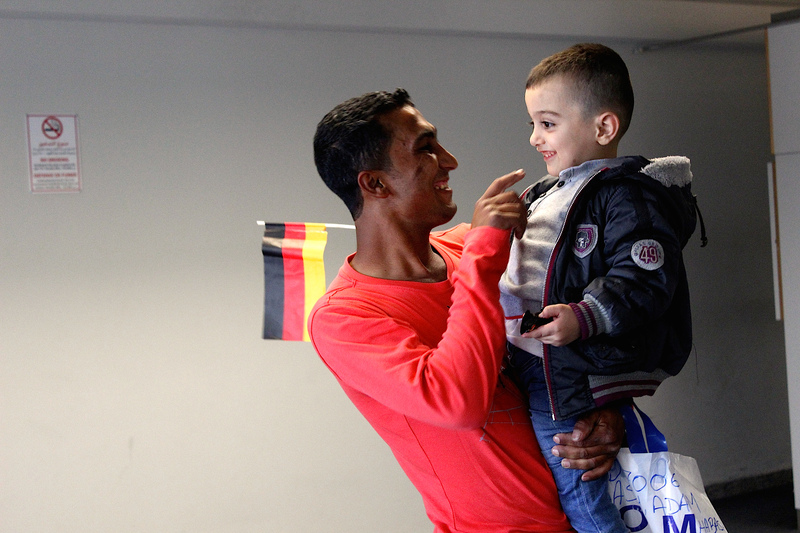 Poland, in July, already took in some 60 Christian-only families from Syria. It did so under a non-EU initiative, organised by a British aid agency, Operation Safe Havens, which brought them over on privately-chartered flights. The Polish PM, Ewa Kopacz, in the run-up to the project, said Poland, “as a Christian country”, has a special responsibility to help Christians. The Polish opposition party, PiS, which is neck-and-neck in polls ahead of October elections, has said multiculturalism is a “failure” in Europe. Belgium, which also has a Catholic heritage, has volunteered to take 2,464 asylum seekers and refugees under the EU scheme. In July, it already took in some 200 Christians from Syria, in a separate NGO initiative. For its part, Operation Safe Havens denies that it’s discriminatory. It is sponsored by Lord Weidenfeld, a wealthy British publisher of Jewish origin, who was rescued by Christian groups from Nazi-occupied Austria and who says he wants to repay his dues. Its spokesman, Andrew Carey, said on Thursday: “Our strong argument is that there are Christian minority communities in Syria and Iraq, which are particularly vulnerable and at risk, and we’d argue priority should be given to those. If that’s regarded as discriminatory, we think that’s wrong”. He added that Operation Safe Havens is in “advanced negotiations” to resettle a second group of Christian-only families in the EU next month. He asked EUobserver not to name the host state due to the sensitive timing of the talks, but it is also a Catholic country in eastern Europe. “The more secular countries quite often have the reaction that it [a Christian-only rescue mission] is discriminatory”, he said. A contact from another agency which works to highlight the persecution of Christians in the Middle East, who asked not to be named, told this website: “There are quite a few EU countries which have, for years, unofficially given preference to asylum applicants of Christian origin”. She named Belgium, Ireland, Hungary, Poland, Slovakia, and Sweden, which has a strong Christian-democrat element in its establishment, as well as an increasingly popular anti-Muslim party, the Sweden Democrats. Sweden has volunteered to take 1,860 asylum seekers and refugees in the EU programme. It also hosts the highest number of protected migrants per capita in the EU. “No. That’s not true [that Sweden favours Christian applicants]. I can deny it. In Sweden, we don’t favour any religion. We treat applicants on individual merit”, Erik Boman, a spokesman for the ministry of justice, which handles asylum claims, said. 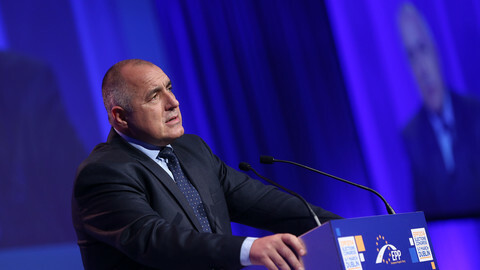 Bulgarian PM Borisov has suggested his country is facing the biggest migration pressures in the EU. Hungarian leader Viktor Orban has warned that immigrants will alter “Europe’s civilisation”, amid ongoing EU debate on the Mediterranean crisis. Czech president says common EU army should guard Europe's borders. Czech minister calls for closure of Schengen area and Nato help. Hollande travelling to Berlin on Monday to discuss the growing migrant crisis and Ukraine with Merkel after a tense weekend. 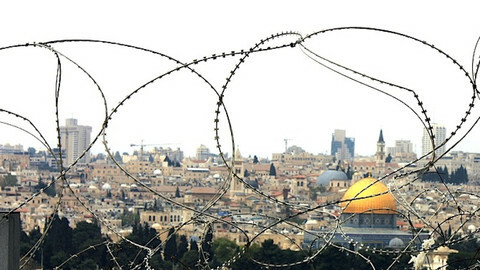 An internal report seen by EUobserver warns that “root causes of violence remained unchanged” and calls for sanctions against settlers.